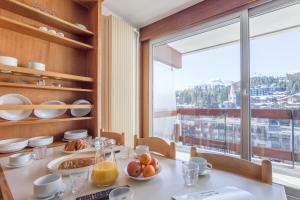 Great location, walking distance from Courchevel 1850 lifts. The apartments had a small (but with enough space) dishwasher. Good shower (both hot and with good pressure), and also a bathtub convenient to bath kids. Nice view of the mountain and ski slopes. 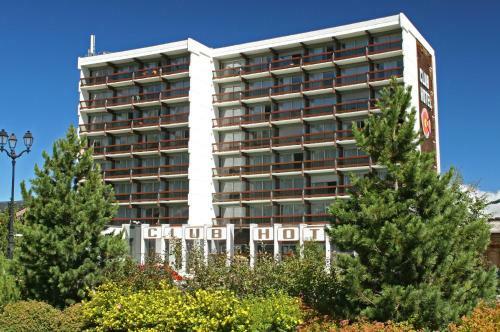 The property is close to ski lifts, city center, shopping area. Great location. Super friendly and helpful staff in reception. The kitchen and living area are quite spacious. The views are stunning. It’s a cheap block of apartments, given the location it’s what you pay for. Short walk to the main lifts which is handy though up hill. Free parking which wasn’t advertised so great bonus. There is a microwave, toaster and old coffee machine in the room but no kettle. Small dishwasher in the room but no tablets to use with it. Could borrow board games for the evening to use. 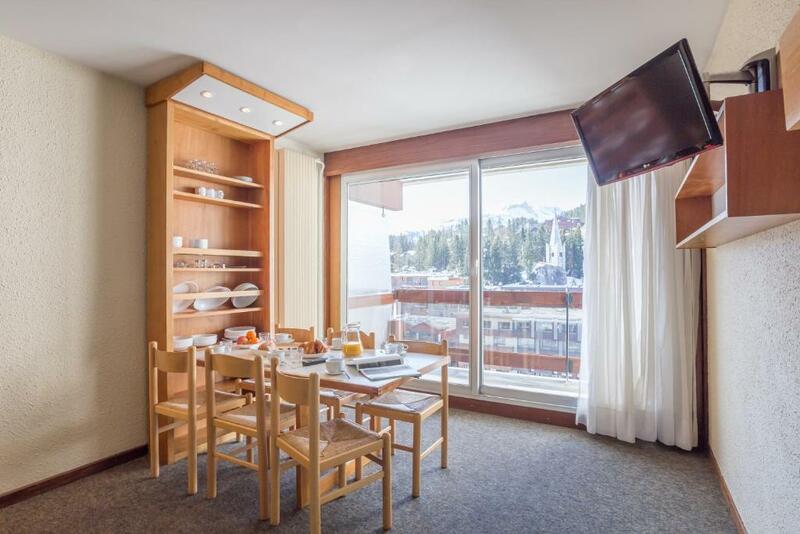 the cheapest price in the center of Courchevel, in walking distance the ski-lift, restaurants, clubs, nice view to the valley and mountains from the window. The hotel was in a central location and the apartment was clean with a nice view. Located in the heart of les Ecrins ski resort, this residence is just 500 feet from the ski slopes and has studios with a balcony. A TV is included in all of the studios at Résidence Pierre & Vacances Les Ecrins. All studios have a private bathroom and some of them have panoramic views of the valley. There is a shopping delivery service available at an additional cost. Additional facilities include table tennis, video games and a billiards room. Lyon Saint-Exupéry Airport is 116 mi away. 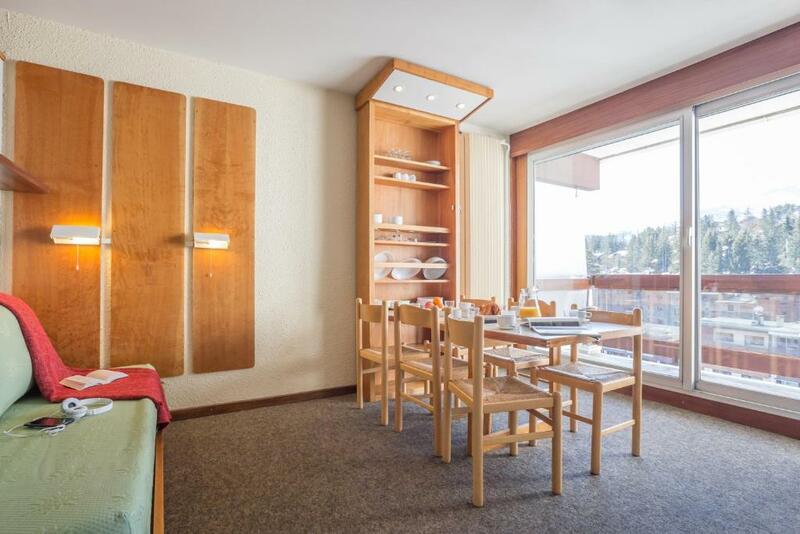 뀐 Located in the top-rated area in Courchevel, this property has an excellent location score of 8.7! 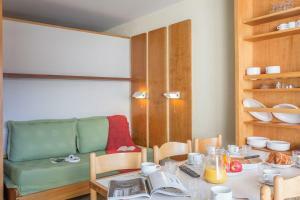 When would you like to stay at Résidence Pierre & Vacances Les Ecrins? This studio has a south-facing balcony and includes a double bed in the living room and 2 bunk beds in a small room. This studio has views of the valley and includes a double bed in the living room and 2 bunk beds in a small room. House Rules Résidence Pierre & Vacances Les Ecrins takes special requests – add in the next step! Résidence Pierre &amp; Vacances Les Ecrins accepts these cards and reserves the right to temporarily hold an amount prior to arrival. Résidence Pierre & Vacances Les Ecrins accepts these cards and reserves the right to temporarily hold an amount prior to arrival. Please note that reception hours can be subject to change. Please contact the property after booking for further information. 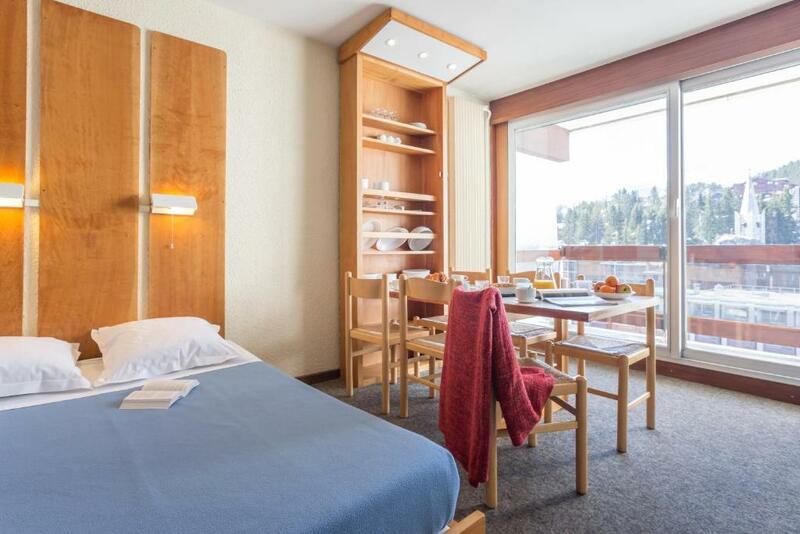 The price includes bed and bath linen, television, free access to the outdoor swimming pool of the residence (uniquely in the summer months) and all taxes and charges (except the city tax). Cold room, they kept the whole floors radiators in minimum (we couldn't control the temperature in the apartment). Nevertheless when we complaint they gave us an additional electric radiator. Very bad artificial illumination in the main room. No cable TV - basic programs in French. 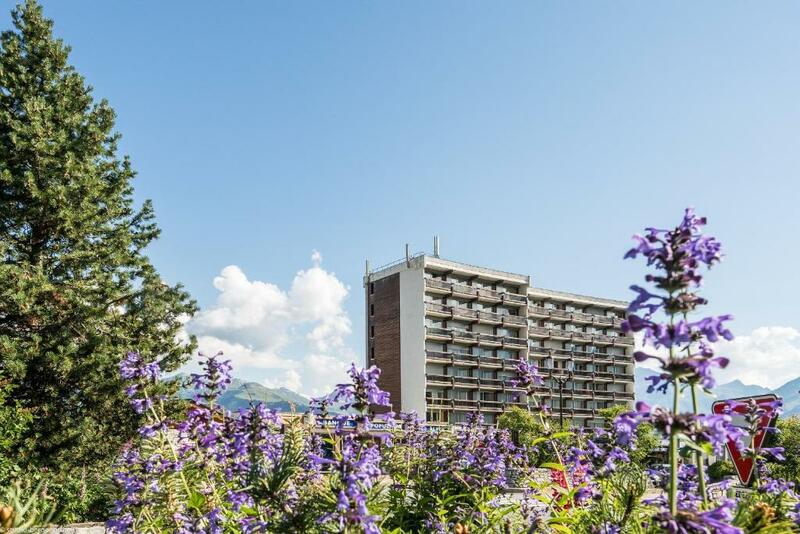 Main problem in the Maeva Les ecrins (room 1i07, floor -1) was the very high noise produced by the music of the dancing «Les Caves» under this residence every night from 03:00 (sometimes from 02:00) until 04:30 (sometime until 05:00) propagated through the wall and ventilation. It was not possible to sleep under that noise and the vacations were completely spoiled. 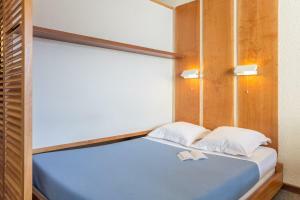 Your agency can not sell the stay under such conditions without explicit warning of the customers. Minor problems were: 1)The cases are too small in the ski-room. One can put only 3 skis and one pair of boots. So one has to take to the room 2 pairs of boots. 2) The wall to wall carpets are too old and dirty, so the bacteriological conditions are bad. Better to change them to the parquet or other type of solid washable floors. Ski lockers are rather small - for 2 adults and one child we could barely fit all our skis in. In general the building and facilities are in severe need of a make-over. No free WiFi at the residence. Would have liked a window in the bedroom!! Damp in hallways, very very dated. It’s a very old block of apartments that hasn’t been updated since built. There was a terrible smell in the hallways and at the end of the stay you have to put all linen used out in the hall - this sometimes is left for days so adds to the smell issue. You aren’t provided with any cleaning goods but are expected to clean the whole apartment or pay €50 to have it cleaned for you. It’s very close to a nightclub so even in a room on the opposite end of the block, you can hear the music until around 4am. Amenities were basic, had to pay €3 for “cleaning pack” of a small bottle of hand soap and 5 dishwasher tablets. For a family having breakfast and dinner in the apartment each day, it will require at least 1 dishwasher load per day. WiFi in reception only. Obviously being located in the centre of the resort 1850 there is noise from the street: snow ploughs if it is snowing and revellers when the pubs / clubs close. Similarly neighbours talking on their balconies while they have a cigarette can be annoying so sleeping with ear plugs is therefore strongly recommended. The apartment was noisy, it was not ski in ski out as we thought, and we had to walk up a hill and three flights of stairs with all our ski equipment everyday. The apartment was very noisy with incessant noise from the nightclub near by that went on for about 5 hours every night. The kitchen was extremely basic with only two hobs no oven, no mop- unless you went to borrow one! No kettle, and a tin opener from the caveman period. On leaving when I asked reception to book a taxi for us, they said that they did not do this.....but reluctantly did in the end. There was no WiFi whatsoever during our stay....and no English tv channels that worked. Reception told us that it was resort problem....which wasn’t the case as we could get it up the road.